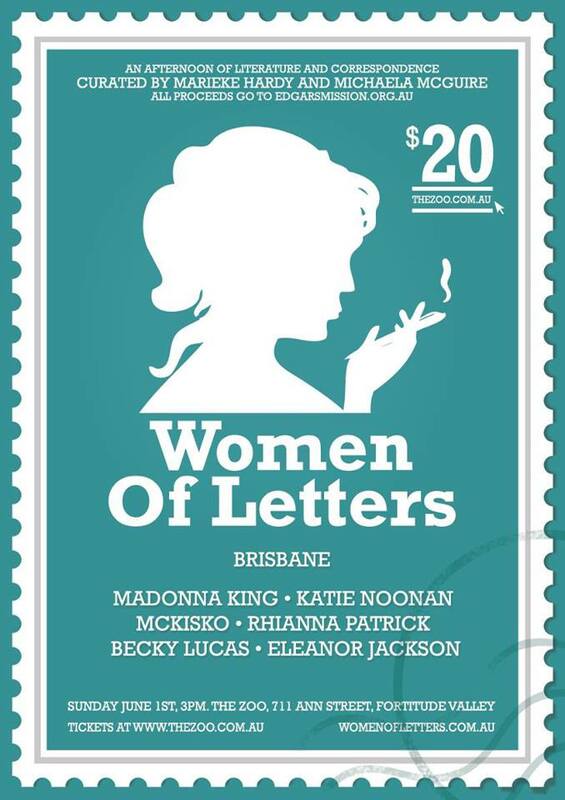 For those who have not had the chance to attend a Women of Letters gig, they are afternoons that celebrate a diverse range of strong female talent whilst simultaneously raising funds for Victorian animal rescue shelter, Edgar’s Mission. Co-curated by Marieke Hardy and Michaela McGuire, the monthly occasion, which is now being extended to interstate and international occasions, brings together five writers, musicians, politicians and comedians in celebration of the beautiful lost art of letter-writing. I’ve been lucky enough to be invited to read at this Sunday’s event in Brisbane, which will be hosted at The Zoo. There’ll be wine, cheese plates and the studious penning of aerogrammes, all in homage to the beautiful lost art of letter writing. At just $20.00 per ticket what more could you ask for? I once announced that I would be doing something I had never done before, but I think I was lying. This time I don’t think I am.